Our office will be closed from 2nd of February to 10th of February 2019 for Lunar New Year and will resume regular operations on 11th of Feb. 2019. 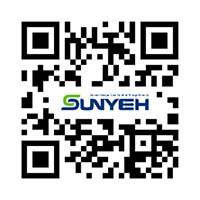 During the holidays, if you need further information or assistance, please send an email to your sales representative or leave a message to service@sunyeh.com, we will answer your message after our return. Sun Yeh Electrical Ind. Co. Ltd.